"Brilliant . . . a brave, chilly look into the human soul." Warren Bascomb, a disgraced 68 year-old surgeon, has enlisted his son, Ben, in a smuggling business aimed at keeping Ben flush with cash and Warren supplied with Dilaudid, the synthetic morphine that caused him long ago to lose his medical license. When Ben's financial problems become overwhelming, he cooks up an insurance scam that fails in spectacular fashion and lands him in the hospital. Suddenly robbed of his Dilaudid supply, Warren is forced to face down the dark memories at the heart of his addiction. And when Ben declares that he's through with the business, Victor Javier, the mastermind of the operation, is roused to violence to keep all the players in line. 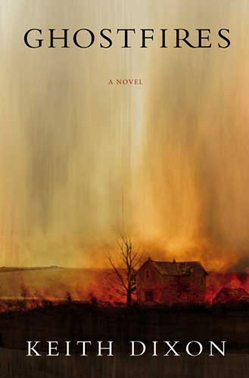 Ghostfires depicts, with stunning prose, a family spellbound by addiction and betrayal. Ultimately redemptive, it is an epic tale about the power the dead exert on the living.